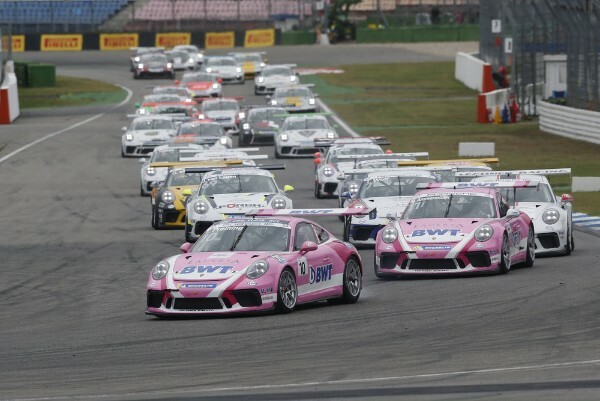 Thomas Preining (A/BWT Lechner Racing) has concluded the Porsche Carrera Cup Deutschland season perfectly: After the Porsche Junior was crowned champion thanks to his victory at Saturday’s race, Preining followed up with another win at round 14 on Sunday. “Even though I won the title on Saturday, I still really wanted to be first in the final race. 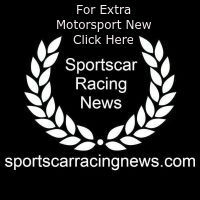 Ten race wins in one season is simply fantastic,” said Preining. Securing ten victories from 14 races, Preining matched the record set by the current Porsche works driver Sven Müller, who claimed the title of the national one-make cup series in 2016. At the Hockenheimring Baden-Württemberg, Michael Ammermüller (D/BWT Lechner Racing) crossed the finish line second. Third place went to Larry ten Voorde (Team Deutsche Post by Project 1) from the Netherlands. Taking up the race from pole position in his 485 hp Porsche 911 GT3 Cup, Preining refused to give up the lead spot over the entire distance. Just as the racing driver from Linz had built up a one-second advantage on the storied German racetrack, two vehicles collided in the midfield, resulting in the race being interrupted while the racetrack was cleared. After the restart, Ammermüller stuck close to the bumper of Preining’s 911. However, the German driver found no way past the Austrian to secure the lead spot. After 13 laps, 20-year-old Preining swept over the finish line as the winner 0.4 seconds ahead of Ammermüller. For the youngster, this marked his tenth victory in the Porsche Carrera Cup Deutschland. “Thomas Preining was so fast today that there was never really a chance for me to overtake him. After the restart I managed to put on the pressure, but unfortunately the race was over shortly afterwards,” said Ammermüller.